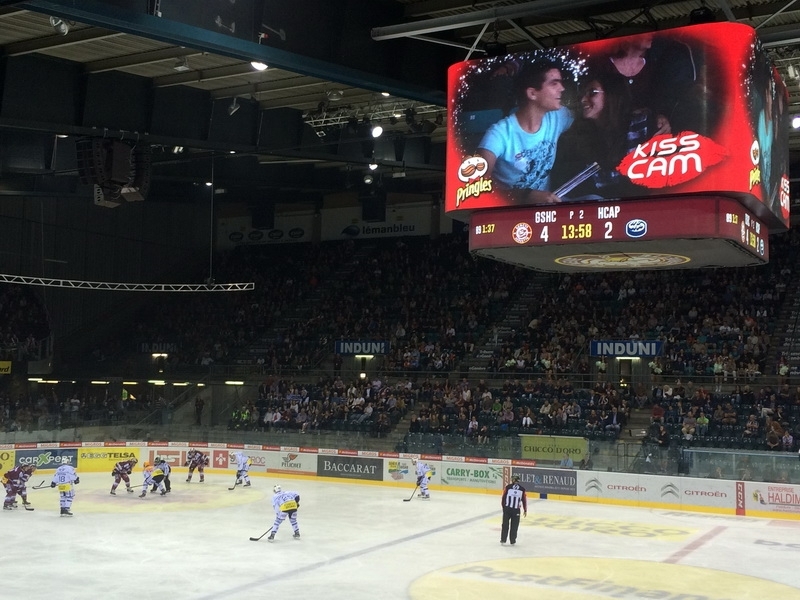 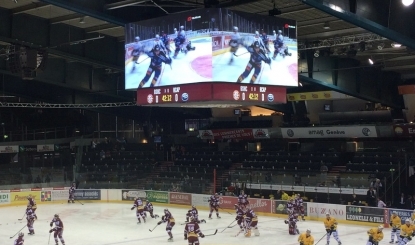 Colosseo is very proud to announce its second installation in Switzerland this year, this time at Patinoire des Vernets Arena, which is the home of Geneve Servette HC, a professional ice hockey club competing in National League A.
Colosseo delivered a custom designed centre hung video board, control system based on the Colosseo Single Media Platform, timekeeping and scoring. 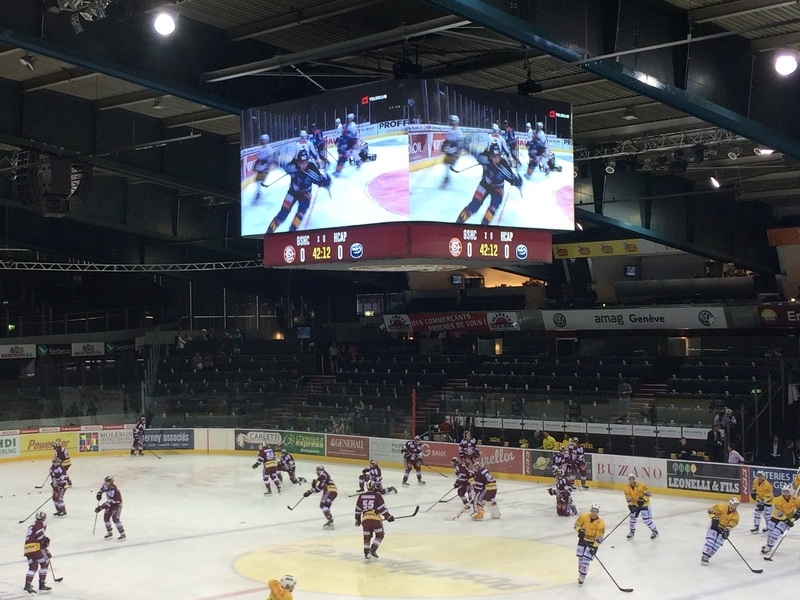 The total LED area surface of the video board covers 86sqm and provides crystal clear picture using P8 technology on the main screens. 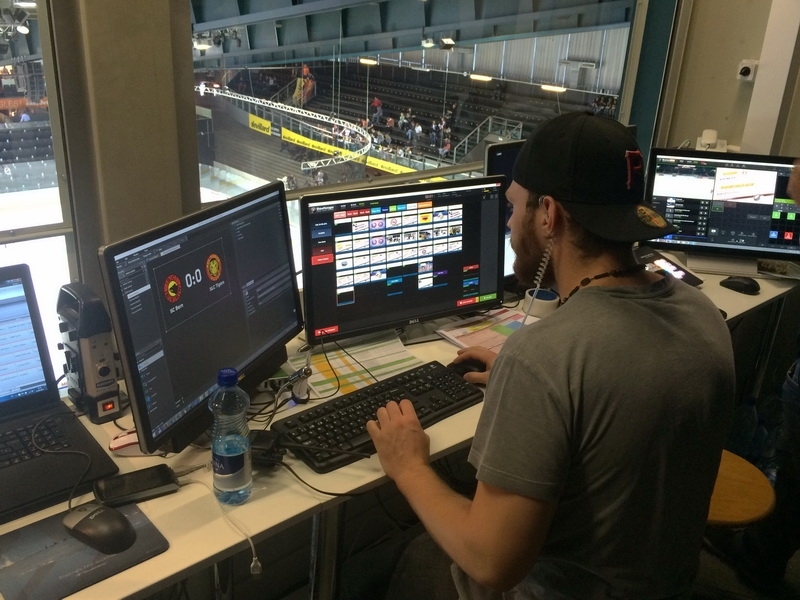 All multimedia inputs are processed by Director8HD, the heart of the whole system, supported by Show Manager and Show Designer for graphic content creation and management. 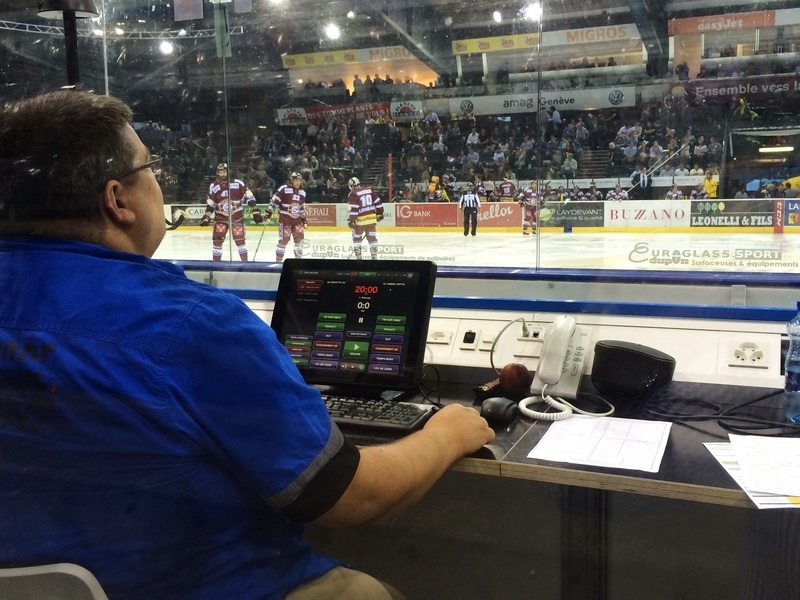 Timing, scoring and statistics management are managed by the Timer Console, which is also fully integrated with all Colosseo components. 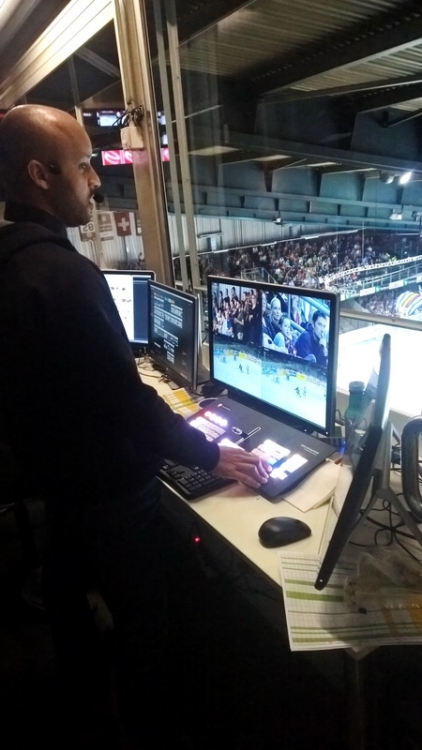 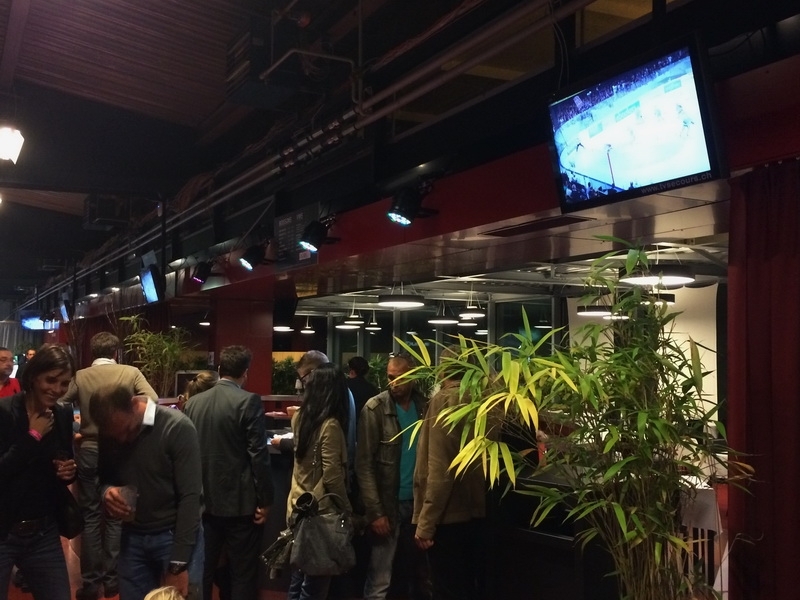 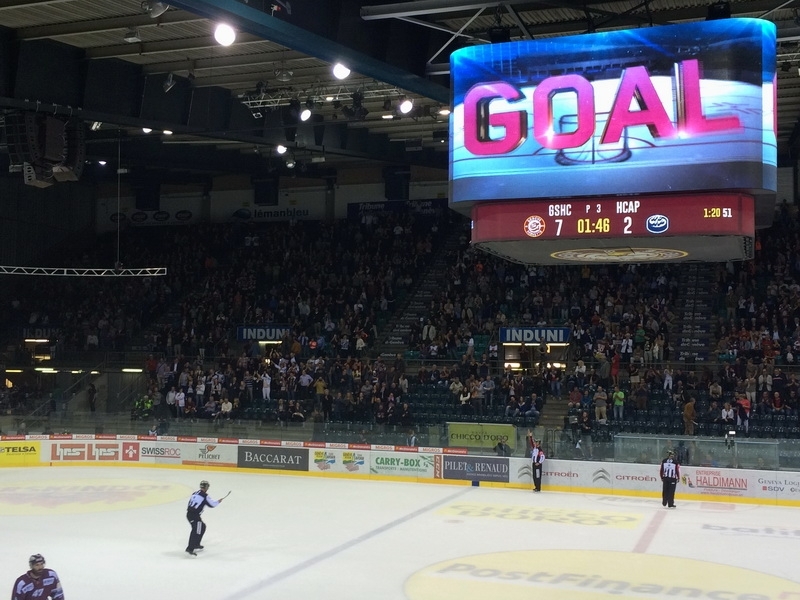 Patinoire des Vernets Arena unveiled these exciting upgrades during the first match of the European Champions Hockey League between Servette-Geneve HC and Sparta Praha.